The only thing I have from Australia is my aunt that I grew up with. I haven’t seen her since my brother’s wedding, over 10 years ago, but of course, I am afraid to be close to her again because I don’t know when I will ever see her again. She is very sick right now and could possibly be gone any moment now. It’s just easier not to deal with the pain so I decided just to let her go. 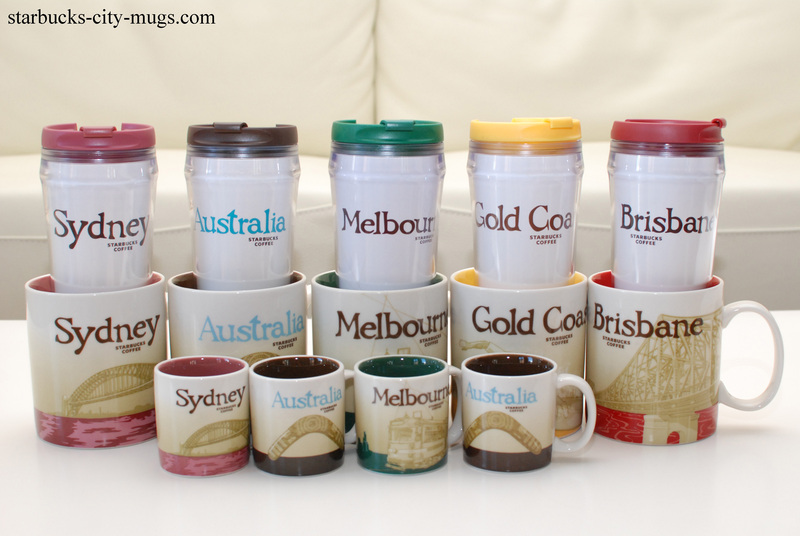 I don’t have any mugs from Australia but I am hoping to go there one day. It’s the only place I feel that is even further to get to than Viet Nam. I didn’t realized that I didn’t continue with my story about how this mug found its way to my house. My mom went to visit her sister, my aunt, who did not have long to live because her cancer came back. Her son, my wonderful cousin, bought all of these mugs and tumblers for me and my mom had to pay extra luggage fee to bring it back to America for me. This was a few months before my aunt passes. Fortunately, my cousin was able to have this wedding ceremony before his mom left and join God in heaven. I am devastated, and cried a little, but I tried not to think about it. I just can’t handle emotional pain so that’s why I didn’t want to visit. I don’t want my last memory of her as a person slowly deteriorating from cancer. I want to remember has the aunt in Vietnam, who loved me like her own daughter and who did attempt to escape Vietnam with me once but didn’t make it. This is why I love my family here so much, especially the nieces and nephews. My aunt showed me that love, the love of an aunt to your sibling’s children. It’s the closest thing to being their mother. Since I moved back from Texas, I’ve grown to appreciate my family even more than ever. I always love my family because were were always apart thanks to the Communist regime. We are finally in America, living close to one another, with the exception of my sister who lives in California. Honestly, I don’t know how she does it. I miss my family so much when I was living in Texas for 14 months and it was one of the darkness period of my life. I never felt so lonely and in utter sadness when my mom, sister and nephew left when they came and visit. God works in mysterious ways because 2 months later, my relationship fell apart suddenly and after 2 days of breaking up, I just got a one-way ticket, thanks to a friend’s suggestion, and never look back. I am here, with my family and will never go anywhere else. I never had the desire to live anywhere in the world other than where I grew up, here in the Washington metropolitan area. You always take what you have for granted and the grass is never greener on the other side. The best thing about HOME is, you can always come HOME…and HOME is where the heart is and where the heart lives, is true, everlasting happiness. Hi i am planning to grab these mugs… but i dont know how or where? The Starbucks stores should have them..